How Social Can We Get? Things have been very quiet here on our blog for the past few months. 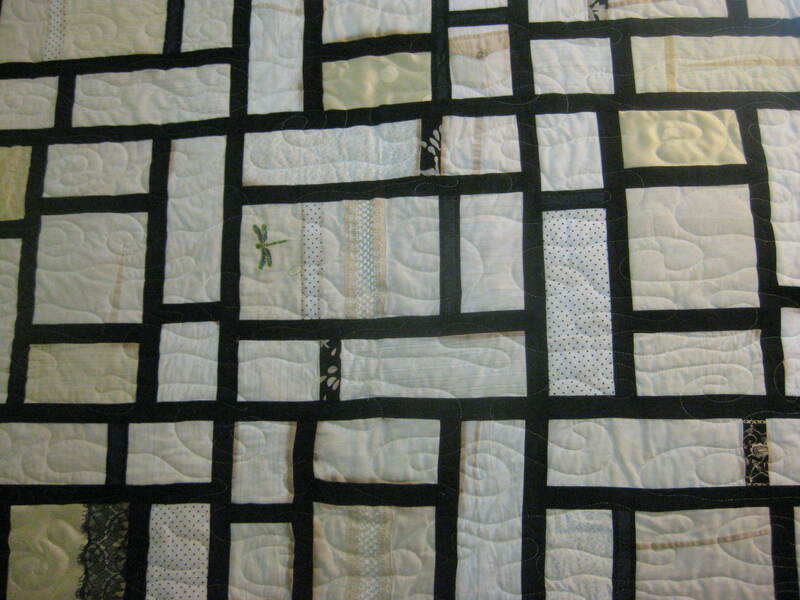 Chris and I have been inundated with quilts to be built and quilted in time for many celebrations. And then finally, when summer came, we were able to have Chris’ daughter Kya, help us out. And she sure did that! 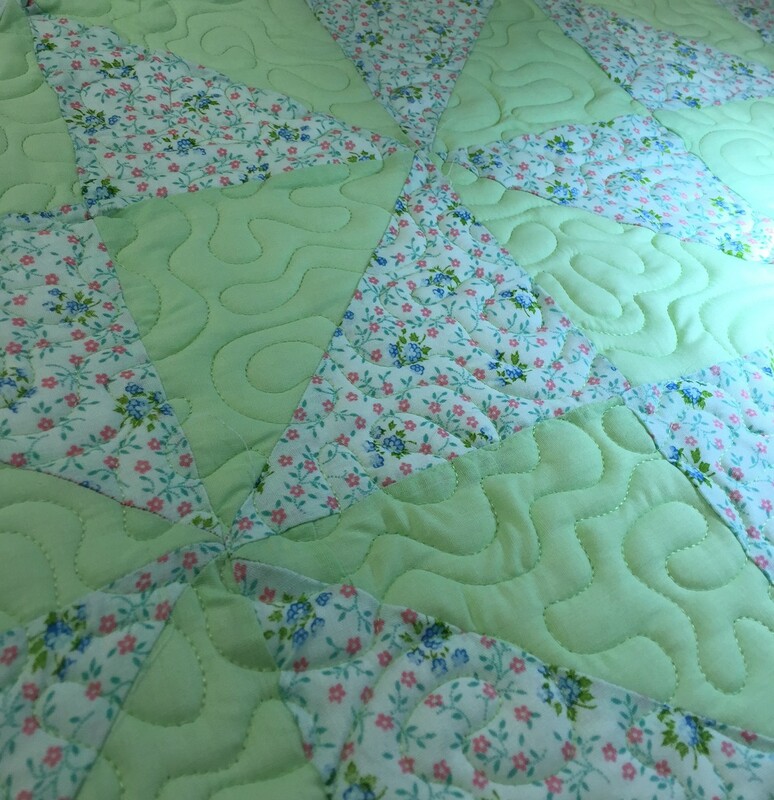 Not only did Kya help with cutting and fusing, she sewed blocks together for our projects, she carried heavy loads and assembled machines for a local quilt show and she even longarm quilted one of our personal pieces. She learned a lot and was a big help. But we learned even more. 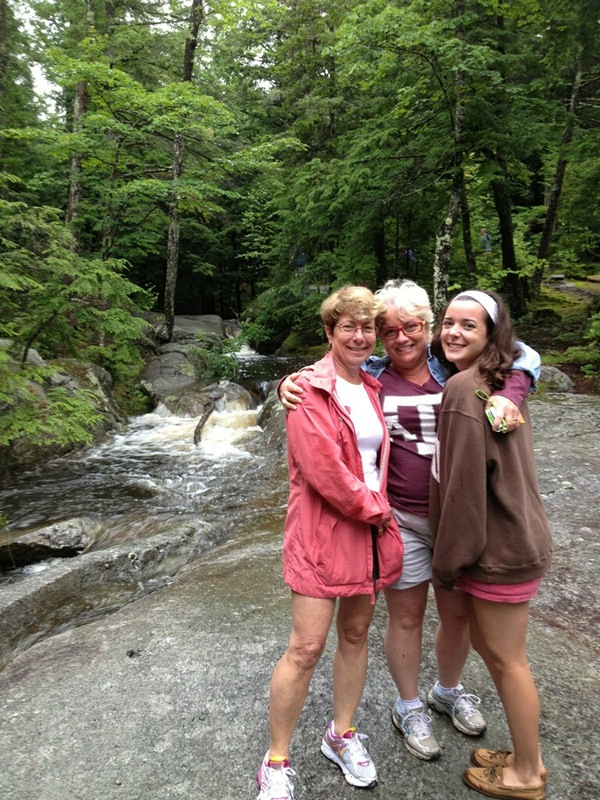 While the family escaped to beautiful New Hampshire, we explored the different aspects of blogging and other media. Kya, as an almost 17 year old, really taught us about the power of social media and about the most effective way to use it. Thanks to Kya’s tutelage, we are now quite active on our Facebook page (Over The Top Quilting Studio), Instagram (overthetopquilting), Twitter (@OverTheTopQuilt) and Pinterest (ottquilting/quilts-we-love ). For all her help, we have now promoted Kya to the Director of Social Media Marketing for Over The Top Quilting Studio! 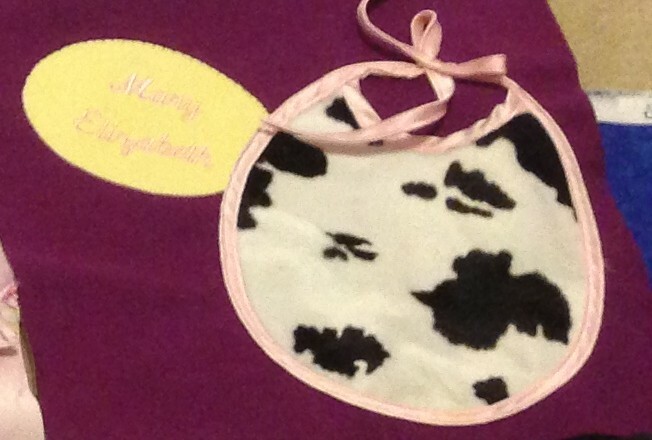 We’d love to have you LIKE us on Facebook, FOLLOW US on Twitter, Instagram and Pinterest too. We urge you to engage in conversation with us and share our links with your friends too. A friendship, a journey…Life and times of Tommy, Willie and Family. 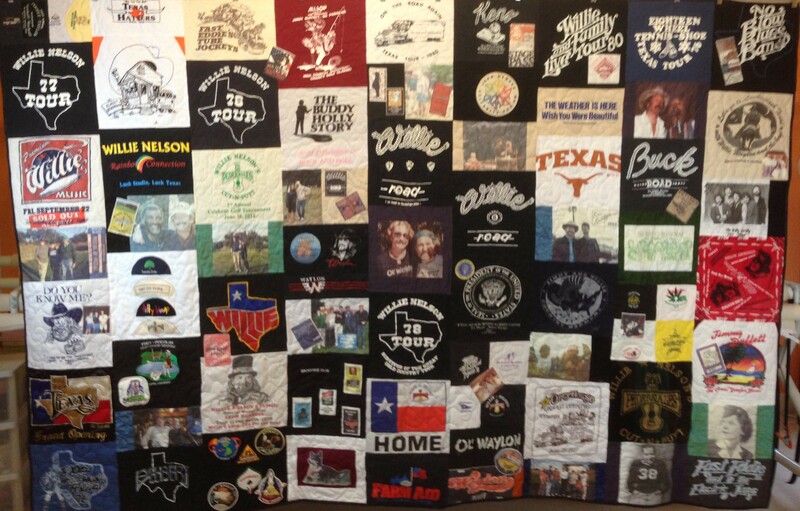 Here in Austin TX, Willie Nelson is a big deal, a hometown boy. So very well loved and respected. And today is his 80th birthday! 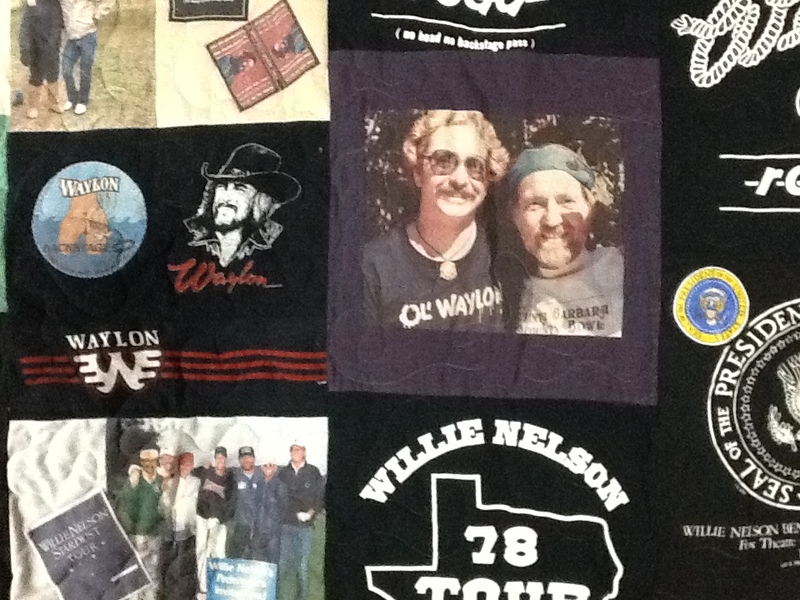 So, when Tommy asked us to make a quilt from his T-shirts and so many of them featured Willie, we were immediately hooked. Tommy told us he was a member of Willie’s ‘family’ and being from NY, we had little understanding of what that meant. Boy, did we quickly learn! 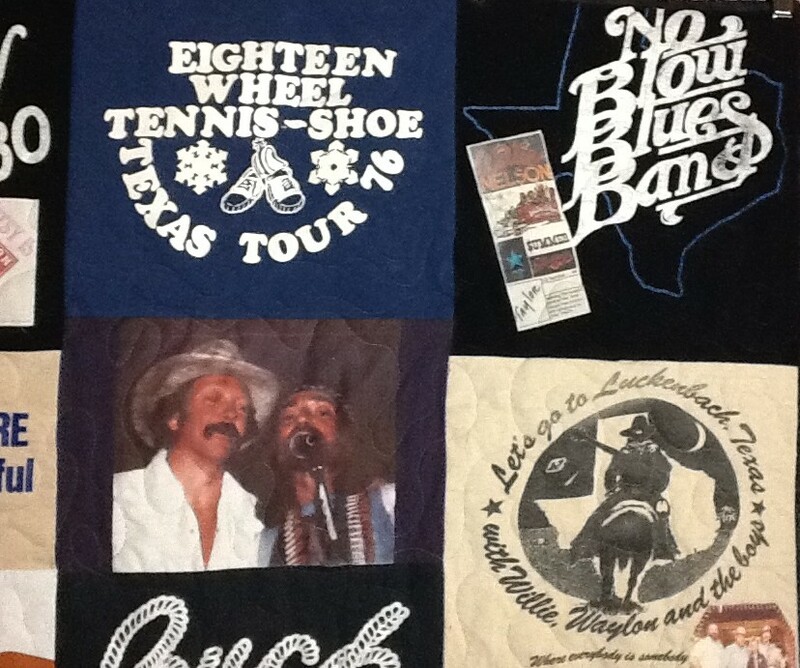 Tommy has been associated with Willie Nelson since the mid-1970s and has the T-shirts and many backstage passes to prove it. Once we explained that a quilt could be made of almost anything, including photos, Tommy came back with dozens of ephemera and memorabilia. With each item came a story or two and we were regaled with tales of the adventures of Tommy, Poodie, Willie, Delbert, Kris, Jimmy, Darrell, Ed, Clint and Waylon, among others. He even added photos of his Mom, Dad and beloved dog. 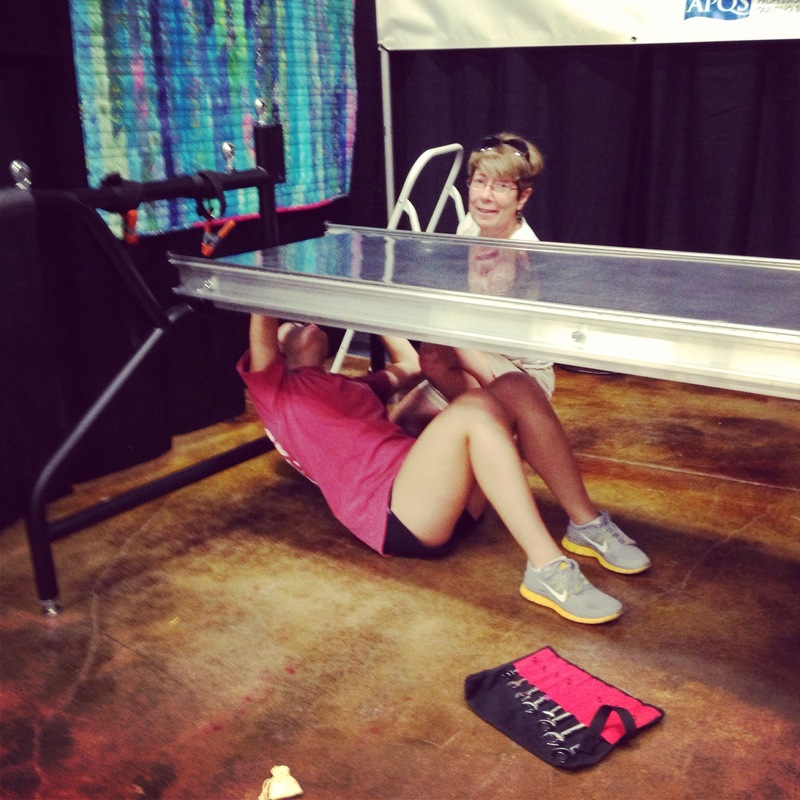 This quilt proved to be a construction challenge. The ending piece had to be precisely 108″ wide by 72″ tall, to fit the wall in Tommy’s kitchen set aside for it. This necessitated lots of crawling around on our design ‘floor’, measuring and re- measuring before the pieces could be cut and sewn. 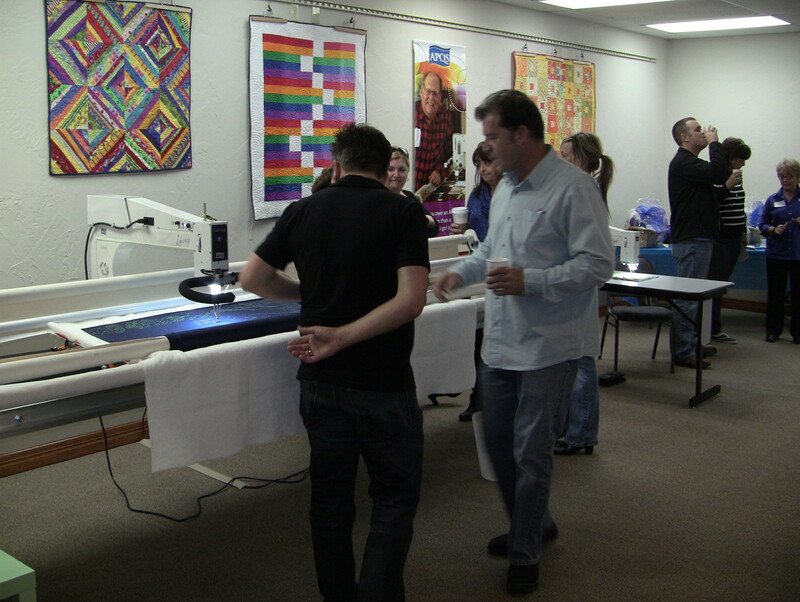 After that, the quilting itself was easy! This was the first quilt we quilted using our newest APQS Longarm Machine, with the new front panel touch controls and the new features. It was a breeze. 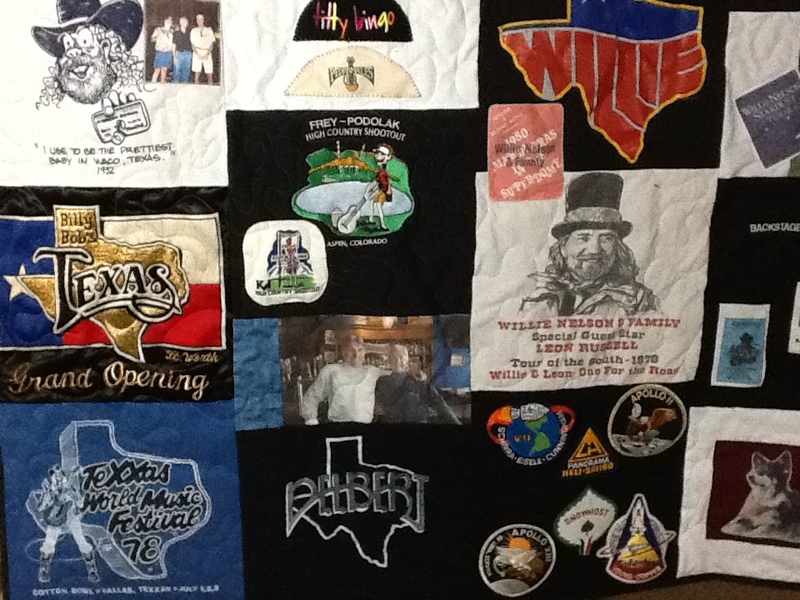 Take a look at some of the rest of the quilt and enjoy Tommy’s march back through time. Might you have drawers full of memories that you’d like to preserve? 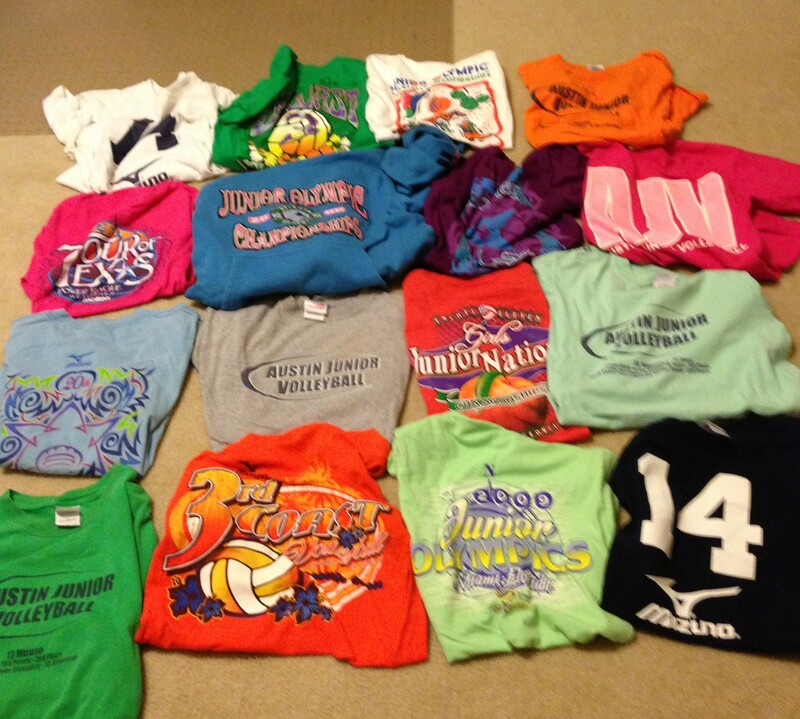 Earth Day – Recycle those T-shirts and clothing! 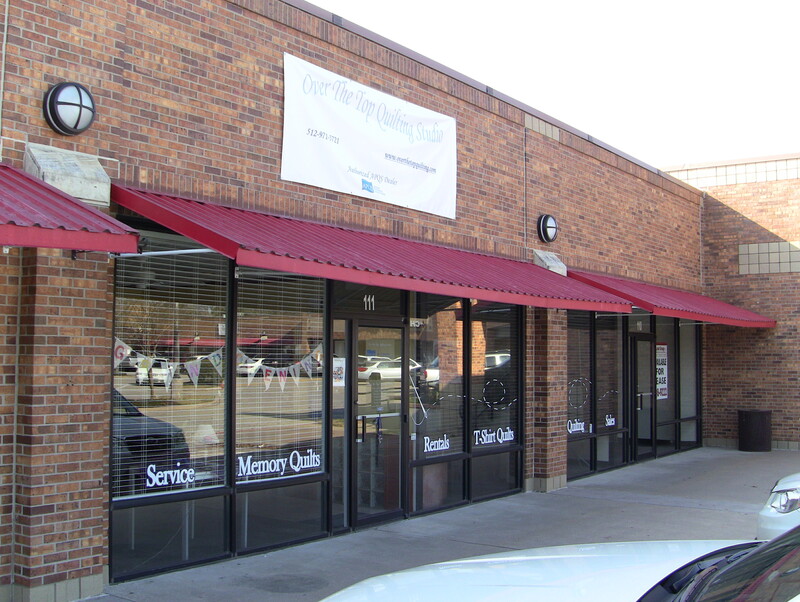 Although today is officially Earth Day, at Over The Top Quilting Studio, we seem to be in Earth Year! 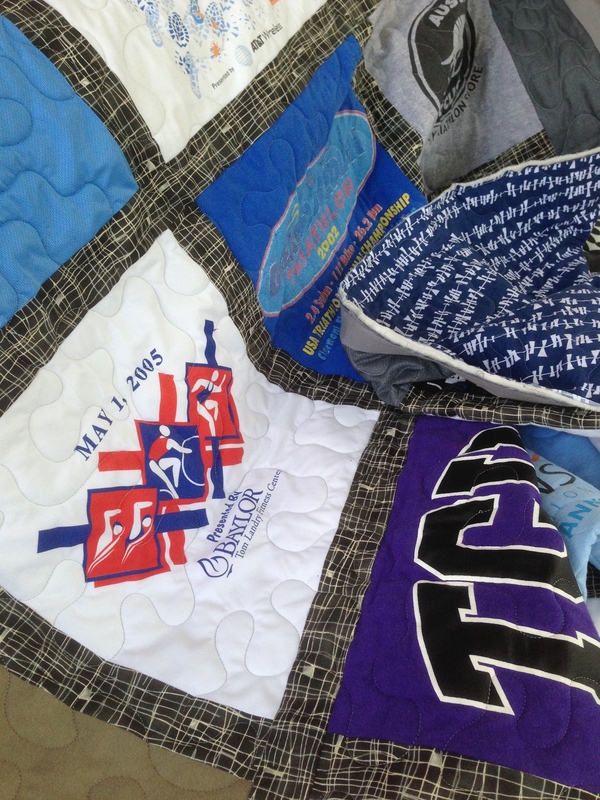 That’s because so many of our projects involve the recycling of T-Shirts into graduation/special occasion quilts. This is a wonderful way to clean out your drawers and closets while still preserving the memories associated with the shirt. 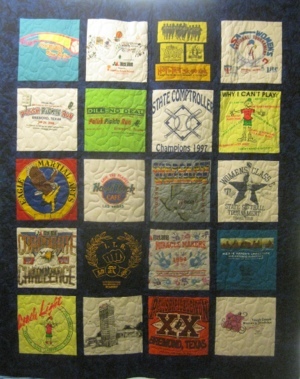 Our clients bring us bags and bags of shirts and walk away with a wonderful, soft quilt. A perfect combination of memory and practicality. 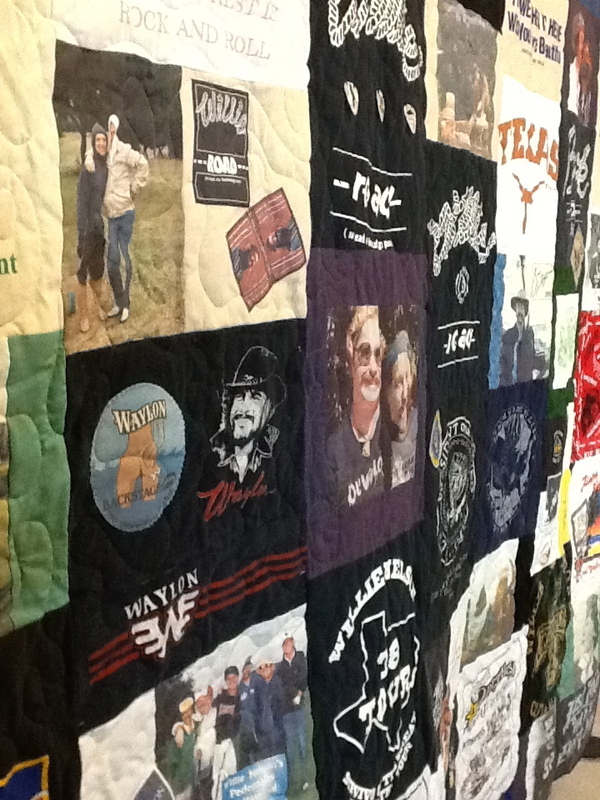 And then there are the memory quilts which frequently are a composition of clothing from a loved one. We are privileged to be able to use old clothes which would likely wind up in a landfill somewhere and reconfigure the pieces into a useable quilt. This allows the receiver to wrap themselves with the feel of their loved one or have a wall hanging to preserve the thoughts forever. 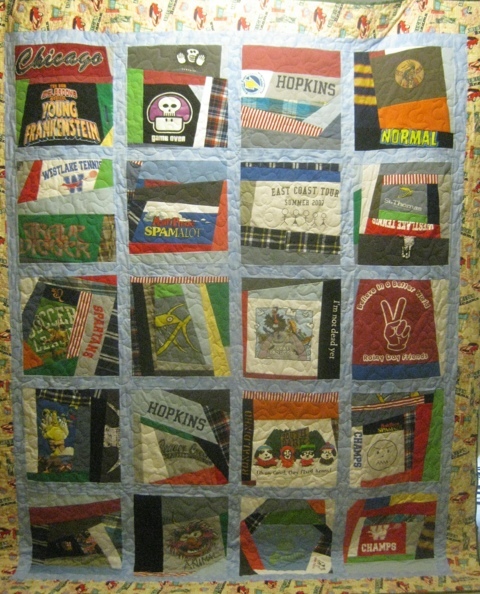 We have lots of fun with the clothing quilts where a Mom wants to preserve the memories of her child’s younger years. These types of quilts really let creativity to flow, trying to figure out ways to highlight some of the more interesting aspects of a piece of clothing. 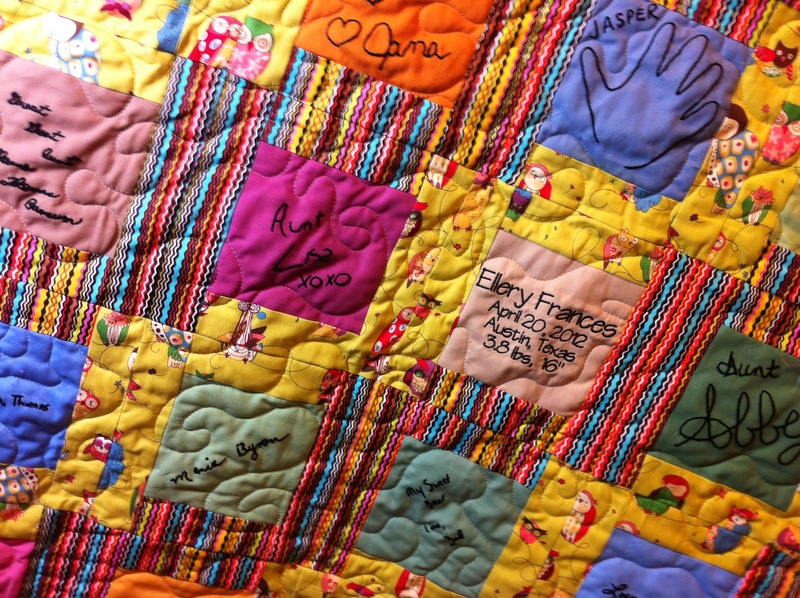 Our message to you on this Earth Day is – clean out those drawers and closets and make a quilt!